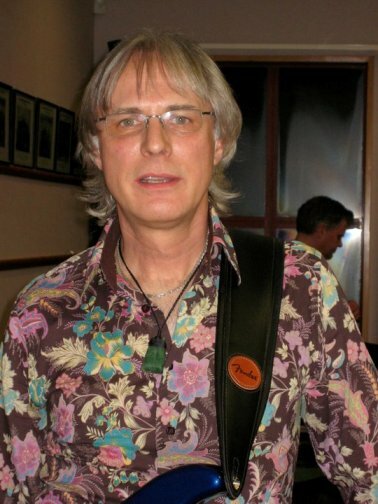 Roger McLachlan toured with Godspell, was a founding member of Little River Band (which later had four # 10 hits on the American charts), is the current electric bass player for the Australian band Late For Breakfast and age 57 he debuted a solo album of original songs, Roger This Roger That and he is considered to be one of Australia’s top session players. Although, he has lived most of his life in Melbourne, Australia, Roger McLachlan is a proud New Zealander, the son of Bill and Alison McLachlan, born and raised in the little fishing village of Riverton (today’s population 1,900) on the South Island, near Invercargill. “I was born into a musical family and so my earliest memories are of music and musicians. I remember my mother and father playing the piano and I remember them dancing. My father was a stride piano player, who loved Count Bassie, but he also loved the Boggie Woogie. He would play the waltzes, the gay gordons (a dance), the quick step and the two-step. A lot of them were war songs that everybody wanted to hear. My father’s bass player was an Englishman who played the banjo ukulele and he taught my older sister and I George Formby songs, on my first instrument the ukulele when I was seven or eight years old. I would play songs like, if I can just get my ukulele out. (He laughs) See I just happen to have my ukulele handy. (He plays) I learned George Formby songs like “Big John McGee,” (He sings a line). They are English ditties. I branched out into things like “You Don’t Have To Be A Baby To Cry,” and “Get Along Home Cindy, Cindy,” (He sings a verse), that corny stuff. I was born in 1954, so by the time it was 1962 or 1963, I was very aware of Elvis and Pop music. I had a real understanding of all of the popular songs from the thirties and forties that my parents grew up with. Once I got to be twelve, thirteen and fourteen, I became aware of the music from my generation and if you go forward a few years, I was playing Jimi Hendrix records and Cream (Jack Bruce, Eric Clapton and Ginger Baker) and that is pretty challenging music. In 1964 I heard The Beatles and the whole family discovered The Beatles. My father came home from work and he said look what I have. He had this little three to four inch reel to reel and it was a recording of The Beatles first album and when he put it on the tape recorder I thought wow this is incredible. Our whole family discovered The Beatles together, which I just think is wonderful. We never got TV on the South Island until the mid-sixties and when we first got it, it was just two channels. It was only on for a few hours and it was snowy. The first TV show I ever saw was Felix the Cat. We only saw a little bit of The Beatles stuff and we were really starved for it. (We saw) Andy Williams and all of those kinds of variety shows that would come across. I don’t know if we even saw The Ed Sullivan Show. I saw that later in reruns. It was kind of like The Beatles had made Ed Sullivan famous in my eyes (he chuckles),” recalls McLachlan. Roger McLachlan’s informal music education would continue in Riverton and his music aspirations started to take root. “I had my first band when I was ten or eleven years old and we were called Roger’s Dodgers. By the time I was ten I had grabbed my sister’s acoustic guitar and I figured out that the tuning of a ukulele is the same as a guitar for the top four strings. It is the same intervals. It might be a different pitch, but it is the same intervals. On the guitar the G string is down an octave, but on the ukulele it is up the octave (He plays the ukulele to illustrate his point). I figured out these chords on the ukulele and I translated them to the guitar. By the time I was eleven, I had my first electric guitar. I was out playing gigs and winning talent (contests),” he says. By the time Roger McLachlan was thirteen years old he was performing in his father’s band, along with his sister. He remembers those days fondly, as he played guitar in a band that by now was covering a lot of Herb Alpert and the Tijuana Brass music. By the time he was fifteen years old he would make his way down to the local pub on a Saturday afternoon, to play what he refers to as fake banjo on his guitar, as part of a Trad band. His father had also bought him an electric bass and he was now playing that as well. Eventually, McLachlan would move to Invercargill (Today’s population about 50,000) and during the day he worked at a regular job like the rest of us and on the weekends he would play in bands. “It just so happened that Godspell had come to Invercargill and they had a Kiwi guitar player and a bass player and the bass player up and left Invercargill. They were looking for a bass player to finish that part of the tour for a couple of dates. I went and auditioned for it and I got the gig. It was only six months or so after that when I was still working in Invercargill that I got a telegram from the MD (Musical Director) of that show. It was 1974 and he asked me if I wanted to come to Australia for six months to do a country tour of New South Wales, Victoria and then three months in Perth. Altogether it was six months. It was an amazing lucky break. I said why me? He said, you know the show already. I don’t have to audition anyone else or find someone else. I bought my first Fender bass and I came to Australia,” he says. He says at that time you either went to Sydney (home to the band Midnight Oil) to make your fame and fortune or you stayed in Melbourne. He recalls some of the bands and artists that came out of Melbourne, Australia, AC / DC, Helen Reddy and Little River Band. Roger McLachlan was asked to reflect upon why a country with such a relatively small population such as Australia produces so many talented musicians, singers and songwriters. “I think it is partially the isolation of the country. Living so far down in the southern hemisphere you look to the rest of the world in a way and you think, well I better get really good, before I venture over there. I think there is also this misperception that every band in America is as good as the Doobie Brothers. I think it is the same thing as being influenced by the British scene, if you want to be good well that is how good you are going to have to be. 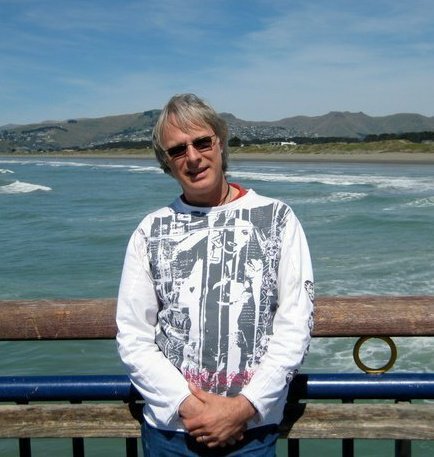 Which provides us with a nice segue into the portion of Roger McLachlan’s career as an original member of the Little River Band from Melbourne, Australia, except only one member of the band was actually Australian, Graeham Goble (acoustic guitarist and vocalist) who was from Adelaide. “Glenn Shorrock (lead singer) came from England when he was a kid. His parents moved to Elizabeth, which was a satellite city of Adelaide and Beeb Birtles (rhythm guitar and vocals) is from Holland, the drummer Derek Pellicci is from England. The first guitarist for the Little River Band, Ric Formosa was half Canadian and half Italian. They were in a band called Mississippi before that and like most bands in the seventies and the sixties they all went to England to make their fame and fortune, like The Easybeats did…”Friday On My Mind.” Bands went to England and became successful or they broke up. Most of them broke up. Mississippi broke up and they met up with Glenn Shorrock when they were over there. Glenn Shorrock had huge success with a couple of bands, one called The Twilights, which had huge hits. He was with another band called Axiom with Brian Cadd. He was living in England, not doing much and living the life of a hippie with a caftan and a beard. They met up with Glenn Wheatley (who became the Little River Band manager) and he was managing a band over there. He had been in other bands as well (The Masters Apprentices) and they decided to come back to Melbourne to regroup and to tackle the whole international (scene). They decided that is where their music was most suited. I just happened to be at an agent’s place one day looking for work for my band and he said, look Roger, I haven’t got any work for your band, but there is this band that has come back from England, called Mississippi and they are auditioning bass players. I said I remember that band they had a huge hit, so I said sure. That afternoon I am at the drummer’s place and these guys are already there setting up with their Fender Twins (amplifier) and their Stratocasters and the drummer was setting up the drum kit. Here was a bunch of guys who could play guitar and just incredible three part harmony. Meanwhile I was really into the Doobie Brothers and The Eagles. For me it was a natural progression. I arrived for auditions and Graeham Goble said we’ve got this song called “It’s A Long Way There,” we will play it and why don’t you just come in and we will see if something gels. They start playing and singing this and I am pinching myself, because I can’t believe how good these guys are. They played the groove and I start playing the groove. The rest is history. It just kind of clicked straightaway. They were recording records and all of a sudden I was in the studio recording and we were on TV. It was like being swept up at twenty-one years old on this incredible journey. The drummer Derek and the lead guitarist Rick Formosa and me, we were all about the same age. Glenn Shorrock is about ten years older than me and the other guys are probably about eight years older than me. There were three older guys and three younger guys. To me it was like a dream come true and I am living the life. I am a Pop star. I am on the radio. Those were the years ’75, ’76, ’77 and it was three incredible years. We weren’t making much money back then, but it was a lot of fun. I loved the fact that the band was so professional and it was really tight. That is what impressed me. I realized that I was in the presence of some really fine musicians, who really cared. They were like me everything had to be right smack back in tune. It had to be absolutely tight. We would rehearse it until we got it down pat. I left Little River Band before they did their very first tour into America, so I was there for their early kind of crazy days,” says McLachlan. Why did Roger McLachlan wait until now to release his debut album? “I think that it is because I spent a lot of time playing on other people’s records. I have always surrounded myself with great musicians, whether it was Little River Band, all the session musicians that I work with and Pyramid, which we didn’t talk about and we ended up at the Montreux Jazz Festival. I have been too busy playing on other people’s records. Maybe I thought that I didn’t have anything that important to say. It is not that I have been a prolific songwriter. I have always contributed. I have been a player all of my life, but I think over the years I have got to the point where I am very comfortable with my playing. Really me doing the album, was just me having a bit of fun and having enough guts to finish off the ideas that I had rattling around in my computer for the last twelve or fifteen years. Some of those songs and compositions just started out with me having a jam and coming up with a melody and working a groove, working an idea. It is not really a concept album, yet it is. It is really a slice of all of the things that have influenced me over the last thirty or forty years of my life and even though there is a funky kind of a thread running through there, to me it’s a soundscape album whereby it is a chill out CD. The songs on the album range from the eastern percussion heard on “Rejoice,” to the upbeat Jazzy groove of “Sorry To Bog You,” featuring Melbourne saxophonist Greg Clarkson and the funkier “Who’s That Girl.” Two singers appear on the album, Neridah Leishman sings on “Universal Propaganda,” and Kate Slaney is featured on “This Feeling (Doin’ Love).” While it may have taken a number of years for this album to come together, the music flows well and it gives the listener the impression that the music was created within a much smaller period of time. For those wondering about the title of the song “Sorry To Bog You,” it comes from a misplayed phone conversation in which a member of a band called Basic Instinct, with which McLachlan was touring called room service, and let’s just say the musician was a bit tipsy and his attempt to say I am sorry to bother you or to bug you came out I am sorry to bog you, bog being a slang Aussie term for toilet. Hence the title of the song was born and the title is really meant to imply, sorry to bother you. When it came to the song “This Feeling (Doin’ Love),”” “I had the main hooks and the groove (He thinks about how the groove goes and vocalizes it). I had the main groove going on, but I didn’t have a strong melody. There were hints of melody and that was during the time of us doing Explore Your Voice (instructional music podcasts with Kate Slaney and Michael Oliphant). I gave that song to Kate in its rough, funky, backing track form. She wrote a song with a melody and lyric and because it is my album, the first thing that I did was to copy her melody and I played it instrumentally. The final washup of it was she only appears in the chorus singing the chart. There is a whole lyric content that never actually made it. I decided I wanted it to be an instrumental rather than a vocal,” he says. The name Neridah Leishman may sound familiar to Australians. “Neridah was a child TV star in Queensland when she was fifteen years old until she was about eighteen and she was this really bubbly cute blonde. She was a really beautiful teenager. She came down to Melbourne seeking her fame and fortune and I was introduced to her. That track is probably about fifteen years old. It is one of the first songs that I wrote seriously with a singer. Part of the reason that I put it on the album, is because lyrically it still stands up with the world and the mess we are in. If you go back and look at some of the protest songs that were written in the sixties, they are more poignant now than they were then,” he says. Please visit the Roger McLachlan website.